6.1 oz 100% ring-spun preshrunk cotton. Light Steel is 90% cotton, 10% polyester. Light Steel is 90% cotton, 10% polyester. Charcoal Heather & Oxford Gray are 60% cotton, 40% polyester. Luxurious ring-spun softness, high stitch density fabric for superior printability, double-needle coverseamed neck with tag-free neck label, and taped shoulder-to-shoulder. Made with stronger layers of cotton than most shirts, this T is built to last. "Hanes beefy are the best quality and extremely durable. For my $ its the best." "The Beefy T is heavily duty and top notch quality. I can see this shirt will stand up to daily wear and last a long time! I washed the t shirt prior to giving it to our employee just to soften it up a bit." 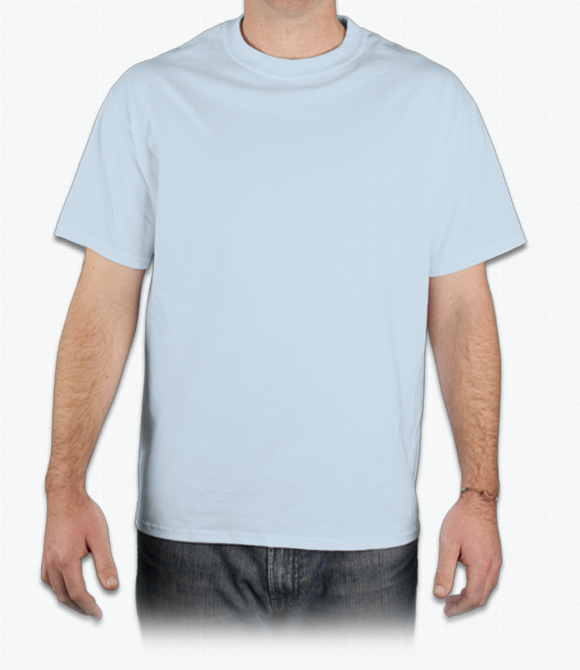 "I ordered 3 different types of shirts and the quality and sizes were all good. The online instructions on how to order more than one type of shirt were not very clear though. "